There’s been no shortage of great speedruns at Awesome Games Done Quick 2019 so far, but this one is by far my favorite. 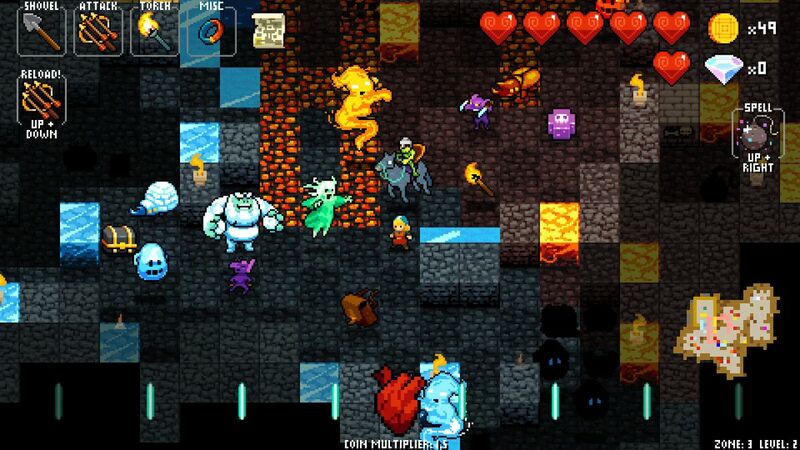 Crypt of the Necrodancer is a rhythm-based roguelike that’s already hard-as-nails, but runner Spootybiscuit ramps the challenge up to unfathomable levels by using Necrodancer’s hardest character, Coda, which Spootybiscuit says the developers almost didn’t add to the game because she was too challenging. Basically, any mistake instantly kills you and enemies that Coda does kill drop gold coins on the ground, meaning Spootybiscuit cannot use that space. Making things even more complicated, Spootybiscuit is using ‘Low%’ rules which also dictate he’s not allowed to pick up any items he might find in the dungeon. “Everything and anything kills me,” he says. Because this run is so intense, Spootybiscuit implores the audience to not make noise, instead suggesting that they clap once each time he clears a floor or kills a boss. The results, as you might expect, are spectacular. As soon as the run begins, it becomes clear just how challenging this really is. Spootybiscuit has to navigate extremely narrow passageways full of gold-dropping monsters while constantly moving to the beat. He can’t sit still, and so frequently he has to dance back and forth waiting for an opportunity to make a move. Things quickly ramp up when, around six minutes in, Spootybiscuit makes it to zone three where enemies become much more aggressive and have really complicated movement patterns that he has to account for—all while sticking to an absurdly quick beat. Spootybiscuit gets unlucky and has to face Death Metal in zone three (the bosses are randomized and different for each zone they can appear in), which features the fastest song in the game at 350 bpm. Meaning he has to press a movement key six times a second to stay alive. Unsurprisingly, Spootybiscuit dies. Even though the game freezes up and crashes half way through the overall run, throwing a damper on the whole thing, this is one masterful display of skill that you shouldn’t miss. Check out our other favorite speedruns of AGDQ 2019.